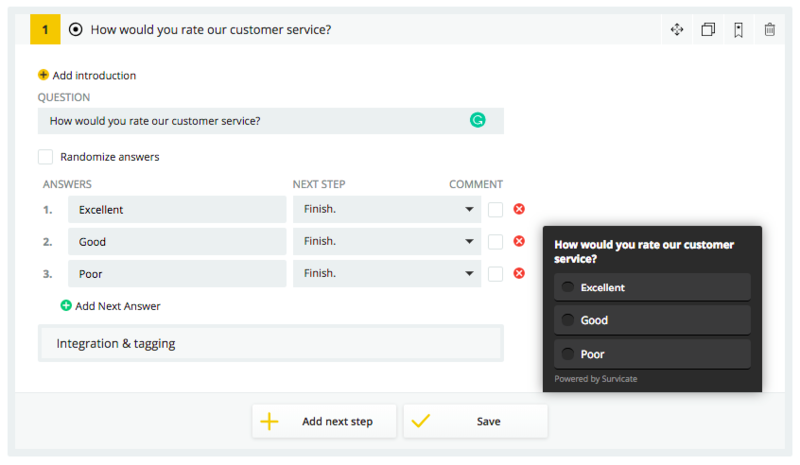 A smiley scale is one of the best ways to query people about their satisfaction as well as an easy solution to quickly engage your customers. 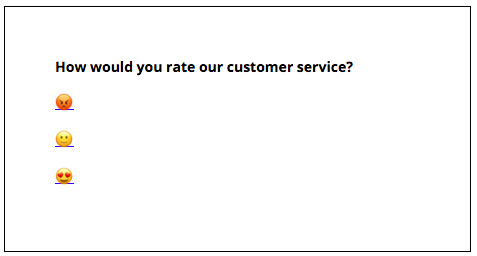 This way all your consumers have to do is click a smiley face and still they provide you with data to work with. 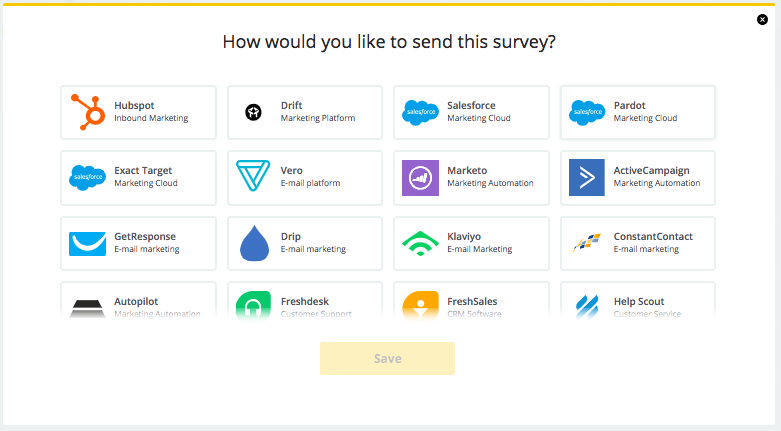 All you have to do is add a new survey, choose send via email and choose the provider you want to distribute your survey with. Now add emojis to your answers (for viewing emoji list use ⊞Win+. on windows or ⌘Cmd+Ctrl+Space). 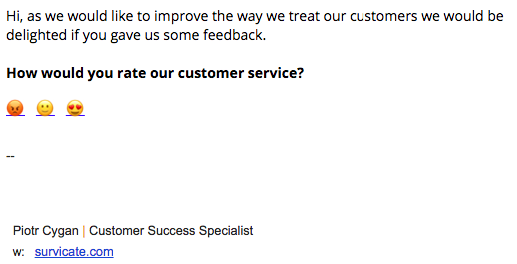 If you want you can add follow up questions to inquire about the reason for their opinion, change the design of the landing page they go to after clicking a link etc. Please visit this our section with tutorials on how to send email surveys with different softwares or your personal inbox. You can rearrange smileys as you like, just don't edit anything inside the links.